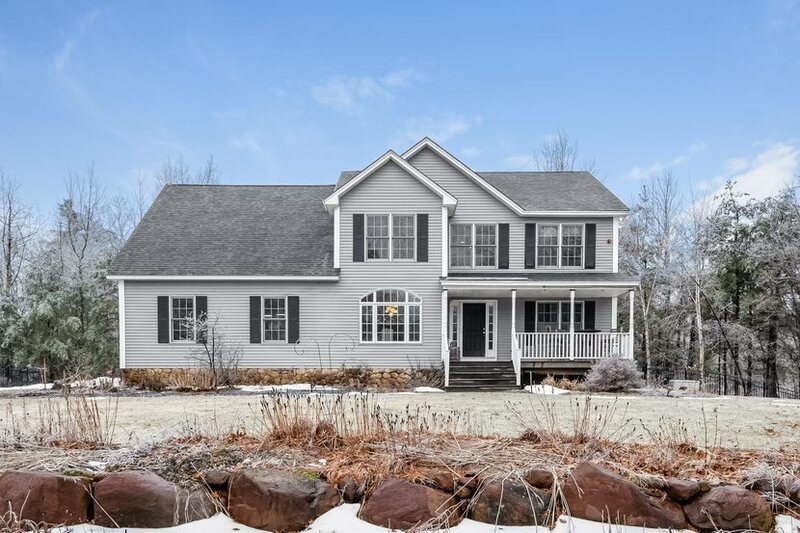 This meticulously maintained and distinctively upgraded colonial is a rare find in the most sought after Hooksett neighborhood. You&apos;ll find runners, people walking their dogs, and kids on bikes and in strollers year-round here, yet the almost 4 acre lot provides ample privacy! The warmth and comfort of this spacious HOME makes it the perfect place to entertain both indoors and out! The well-appointed kitchen has a 6 burner Viking range, updated stainless steel appliances, and is open to the eat-in kitchen and relaxing living room. A cozy wood burning stove set on a stone hearth and French doors leading out to a gorgeous composite deck make this a delightful space to gather the family or entertain guests. The deck spans the length of the house and includes a pergola and built-in outdoor kitchen with gas grill and smoker! Your outdoor entertaining space is complete with a 18&apos; x 36&apos; heated pool with ample space for lounging. If that&apos;s not enough, the lower level has a room that could be used as an additional family room, game room, or bar area, AND a custom movie theater including leather reclining seats for up to 10! Too many upgrades to list here but a few are a newer propane furnace, lighting and audio control system, irrigation system for the lawn and hanging plants, greenhouse, 20KW automatic backup generator and extensive perennial gardens. Please see full list of upgrades under Associated Documents.